The New Super Mario Bros. series is getting old. When the first game in the collection made its debut on the Nintendo DS six years ago, gamers had been waiting more than a decade for a new 2D Mario platforming experience. After the release was a smashing success, Nintendo appeased those fans again in 2009, offering a console version for the Wii that felt like a perfect amalgamation of every side-scrolling Mario game that had come before it. Over the last three years, "New Super Mario Bros. Wii" has sold more than 26 million copies, outselling Wii's "Super Mario Galaxy" and "Super Mario Galaxy 2? combined. With such massive popularity, it was inevitable that the series would continue, but in what form? Would we be exploring new worlds or revisiting long lost ones? Unfortunately, neither, "New Super Mario Bros. 2? seems content to explore the same scenery, battle the same baddies and retain the same mechanics as its predecessors. While Mario's classic game play is always welcome, fresh advances in story and theme are sorely missing, leaving the game with very few surprises and making the New Super Mario Bros. games even more indistinguishable from each other. Sure, in every Mario game Princess Peach is kidnapped by Bowser, but there used to be a twist - new characters, dinosaur islands, castles filled with paintings, galaxies of planets. You get the idea. But New Super Mario Bros games are quickly becoming indistinguishable from each other. The big new thing in this game? The coins. This incarnation of the game challenges you to collect a million (I topped out at 25,000) and that bodes well for parents looking for a kid's game with replay value, but it won't help you differentiate this game from the others several years from now. I thought I would get tired of hearing the "da-ling!" sound effect with each coin collected, but it surprisingly didn't faze me. Technically, I have to hear the effect 975,000 more times, so I may be speaking a little too soon. Of course, the level design is top notch, the game is addicting and there are some nice touches revolving around depth perception in both backgrounds and boss battles. But when it comes down to it, "New Super Mario Bros. 2? isn't weird enough. There's no mystery, no sense of wonder, just a new power-up now and then. The really annoying thing is that the solution to this problem is staring Nintendo in the face. The New Super Mario Brothers series could blast off to space and see what the "Super Mario Galaxy" world looks like in 2D. 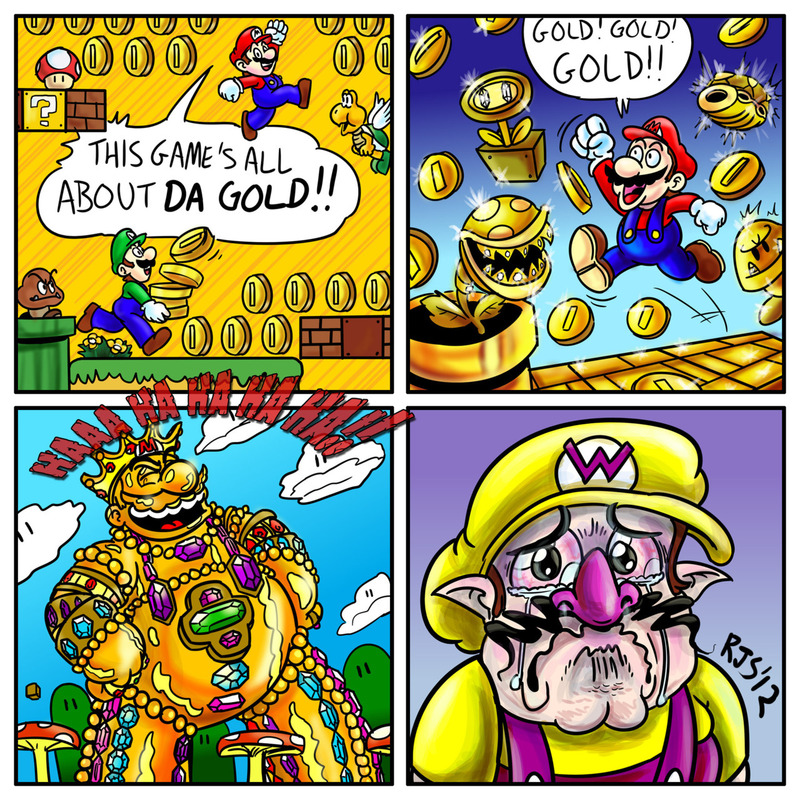 Or it could bring back Wario. It doesn't take a genius to see some interesting directions for Nintendo to go in. 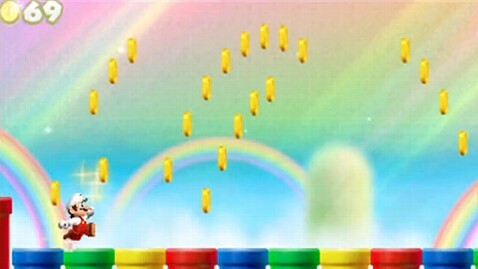 Thus far, New Super Mario Brother Wii has been the crowning achievement of this series. Four player co-op plus highly detailed world maps brought plenty of new Mario magic to the table along with the old. This game feels like Wii-light, less multiplayer options, the same bosses, mix-and-match power ups from previous entries in the series and maps that take a step backwards. Come on, Nintendo, get weird! New Super Mario Bros. 2 is available on Nintendo 3DS via game cartridge or digital download (a first for a new Mario title) starting Sunday, Aug. 19.